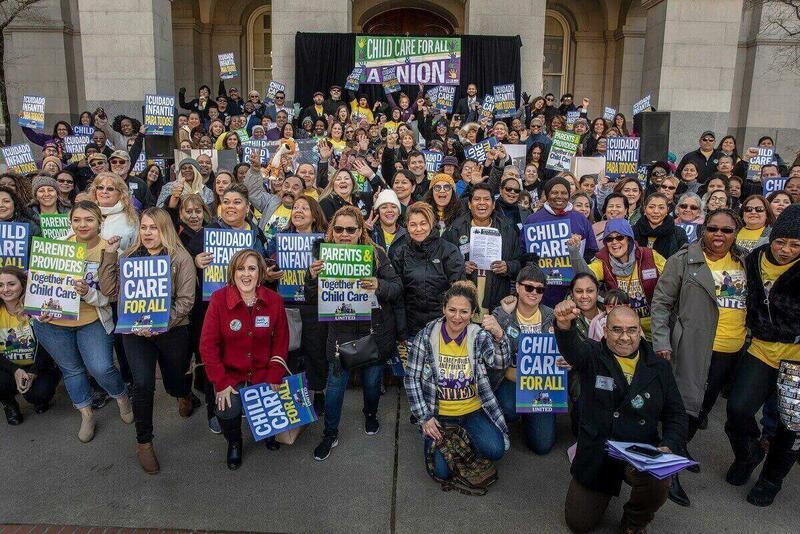 When providers come together to form a union, we can make big changes and improve our livelihoods and the quality of child care for thousands of families in California. A union means we have a strong voice and a seat at the table with the state of California to negotiate reimbursement rates and working conditions, including changes to rules, payment systems, access to affordable care, and more! Learn more. When providers come together to form a union, we can make big changes and improve the quality of child care for thousands of families in California. A union means providers have a powerful voice to improve our livelihoods and the services we provide. It means we have a seat at the table with the state of California to negotiate reimbursement rates, working conditions including changes to rules, payment systems, and more! Learn more. By coming together within a union we can lift ourselves up and the children and families we serve. Not ready to join yet? You can still authorize Child Care Providers United to represent you when we gain collective bargaining rights. We’re forming a union and fighting for a stronger voice through collective bargaining rights. Tell parents to join you in the fight for quality child care for all by signing this petition. Stories can inspire and change minds, and show what statistics can’t. What does your struggle look like? 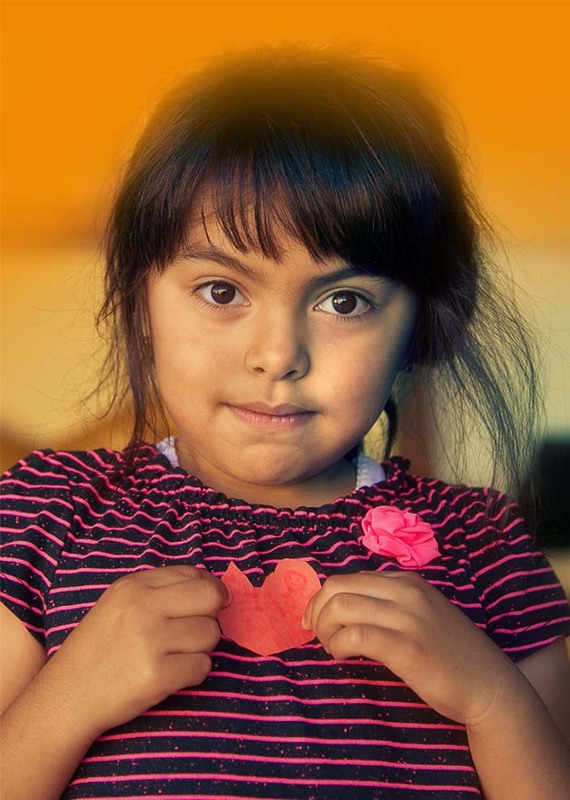 How have you changed a child’s life, or played a part in helping a family find their footing? 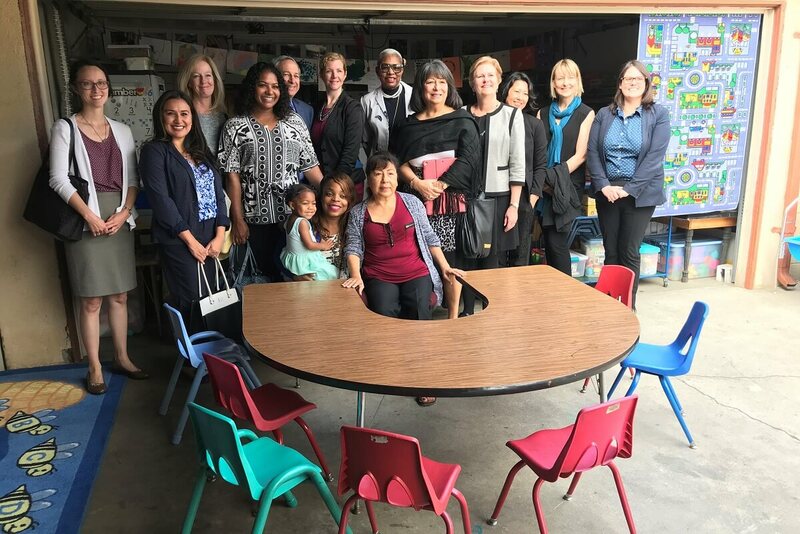 California Child Care Providers United (CCPU) brings together thousands of child care providers throughout California who work together to improve our profession and ensure every child has access to quality early learning and care. 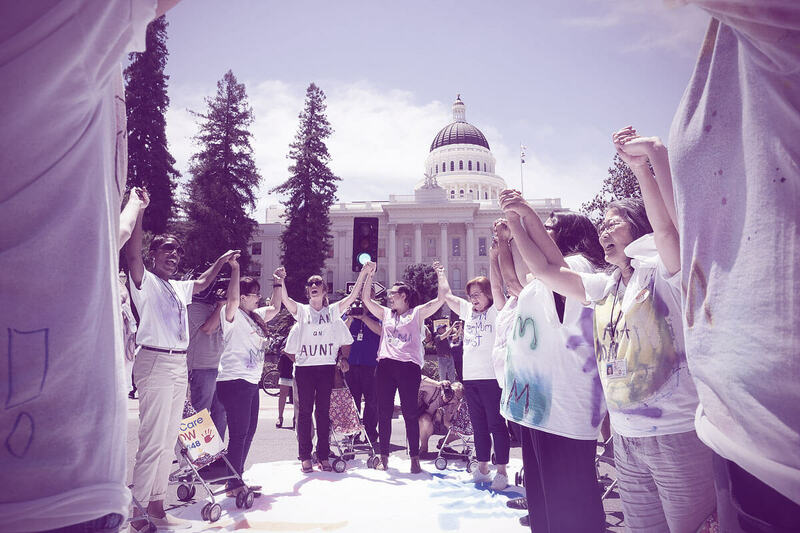 CCPU is made up of a statewide partnership between three powerful unions – SEIU Local 99 Education Workers in Los Angeles and San Bernardino Counties, SEIU Local 521 in the Central Valley and Bay Area, and United Domestic Workers Alliance in San Diego. As union members, child care providers have a powerful voice to improve our livelihoods and the services we provide. Together, we’ve already been able to win rate increases, improved state funding for early care and education, more training for providers, and additional child care slots for families. To continue to win lasting changes for child care, we’re working to pass legislation that will give providers collective bargaining rights. Collective bargaining rights will give us a seat at the table with the state of California to negotiate our reimbursement rates and working conditions, including changes to rules, payment systems, and more! We’re stronger when we’re united. Become a member of CCPU. A union is simply a group of workers who join together to raise their standard of living and improve the services they provide. With a union we have a stronger voice to negotiate reimbursement rate increases, better working conditions, more training, increased access to affordable child care —and more. The strength of the union comes from our numbers. In other words, how many of us are union members. More members means more power to improve our livelihoods and the early care and education we provide. Right now, the State of California makes unilateral changes that affect the child care industry and they can do so without the input of those most impacted—family child care providers. We can change this with Assembly Bill 378 (Building a Better Early Care and Education System Act). AB 378 will grant providers collective bargaining rights, and with that, the ability to negotiate a legally-binding contract that guarantees our benefits, reimbursement rates, rules, training, and more. With a contract, California will not be able to make changes to our working conditions without negotiating with us as union members. With collective bargaining rights, child care providers will have a direct voice to negotiate a contract with the state. We’ll be able to address many of the issues we care about, including: improving our reimbursement rates and benefits and increasing access for low-income families who cannot afford the rising cost of child care. We can also ensure the training offered to providers meets the state’s needs for the overall childcare workforce, as well as health, safety, and educational standards; aligns with California’s quality rating systems; and eliminate barriers to access training. Have you missed a payment because a parent’s signature was missing? Have you struggled to get an agency on the phone? Have you experienced arbitrary changes to rules when visited by licensing? You’re not alone. Over 1,000 other child care providers have been there, have fought, and have won. We don’t have to fight this broken system alone. 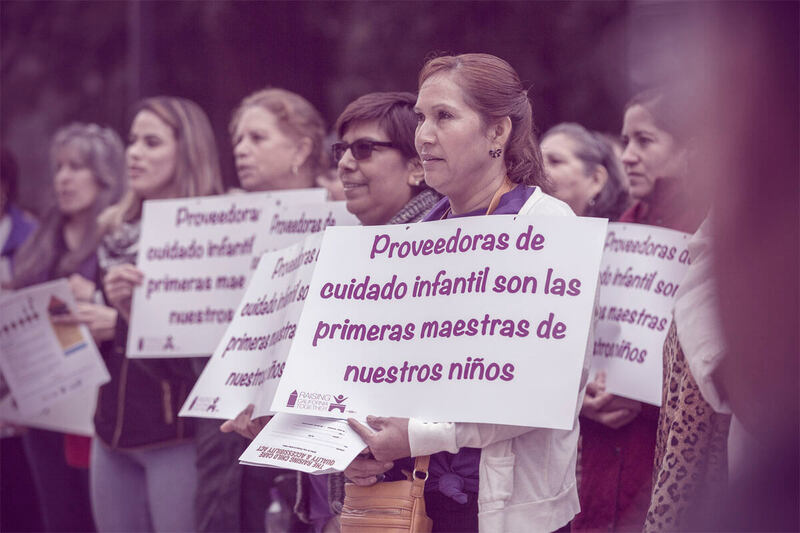 As a member of SEIU Local 99, we have the unique opportunity to meet face to face with decision-makers in the child care system. We regularly meet with Community Care and Licensing, the Department of Social Services (both in Los Angeles and statewide), and host our own meetings to learn how to become advocates in our profession. 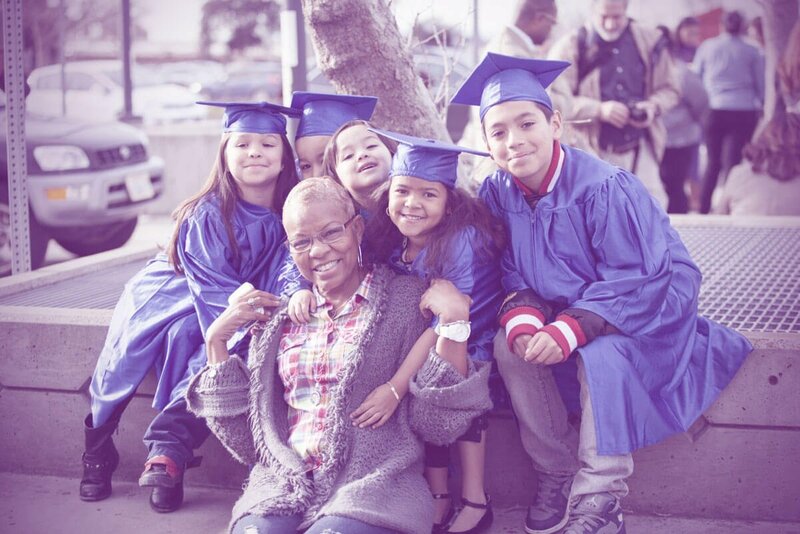 We train to become leaders in the child care industry and together have helped dozens of other members receive long-delayed payments, reimbursements, and streamline the complaints process in Los Angeles and San Bernardino County. This is YOUR UNION. As a future member of SEIU Local 99, you will have joined a team of seasoned early education professionals who stand together to ensure we are all up to date with the latest changes in California’s child care system. We host regular workshops on licensing, CPR/First-Aid, Mandatory Abuse Reporting, and even workshops to help with your taxes. As a SEIU Local 99 member, you’re entitled to member-only benefits, including special loan rates, insurance products, travel deals, hardship assistance, free first aid and CPR classes, and much more. Members can even earn their AA or BA college degrees online at a low tuition cost through our exclusive College for America program. Members also have access to hundreds of discounted goods and services, such as movie theaters, theme parks, phone plans, car rentals, restaurants and concerts. Check out all the perks and benefits. The yearly cost for full-time infant care. At a licensed family child care, the cost is $10,609 a year. Children who are eligible, but aren’t receiving state subsidized care. The average hourly wage of a license-exempt child care provider. Licensed providers only make slightly more, $5 to $7 an hour. The percentage of the total child care workforce that relies on government assistance due to low wages. In states where providers have won collective bargaining rights family child providers now have a union contract that details regional market rate increases, sick days, vacation days, their rights when dealing with their respective state’s subsidized child care agencies and even access to child care development courses through allocated funds for training. This is what providers negotiated and won in their union contracts in four states. 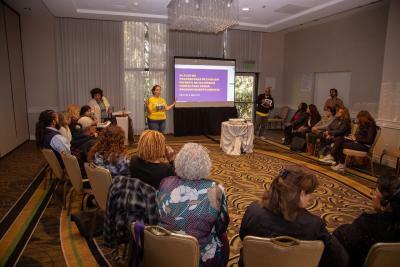 Last December, providers gathered at the Universal Studios Sheraton to gain leadership tools to usher in 2019 with excitement and hope at the prospect of working with a staunch early care advocate -- Governor Newsom. Providers also committed to growing our leadership committee and bringing more of us together so in 2019 we can win collective bargaining. On March 11, California's Blue Ribbon Commission on Early Childhood Education delivered their draft recommendations. n these recommendations, under the Workforce section, was a strong support for collective bargaining for child care providers! This happened because of all the valiant stories providers from SEIU Local 99, SEIU Local 521, and UDW-AFSCME told across the state. Child Care for All is a joint campaign by child care provider members of SEIU Local 99, SEIU Local 521, and UDW Local 3930. Collectively, we are Child Care Providers United California.